Gun control takes center stage in the wake of yet another mass shooting. Maybe you’re someone who, like the majority of Americans, supports the Second Amendment’s right to bear arms, but you feel kind of creepy about the weapons-grade cretins who run the NRA and do all they can to keep Americans safe from any gun laws that might keep Americans safe. Well, you’re not alone. And this is why: loving the Second Amendment while opposing the NRA is every bit as natural as loving Jesus while opposing Westboro Baptist Church. 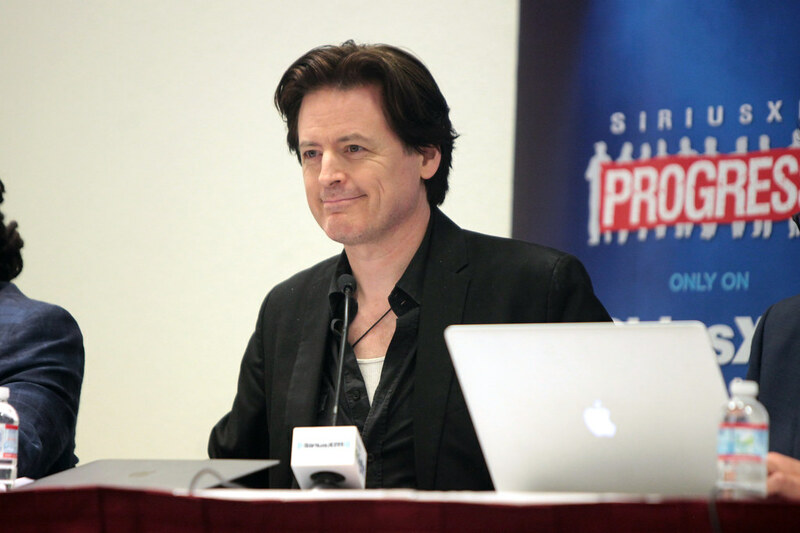 John Fugelsang broached this very concept while taking on the NRA, comparing it to the Westboro Baptist Church in this entertaining monologue from a 2013 clip from the now defunct Current TV. The clip is no longer available, but Liberals Unite preserved a copy of the transcript at the time of airing, which can be read below. In fact, Wayne LaPierre’s fake constitutional rights lobbying group that gun manufacturers use to buy off congressmen actually has quite a bit in common with the revoltingly fake Christians of Westboro. You see, Westboro is to Christianity what Jesus was to ignorance, hatred and inbreeding. They travel the country holding these vile, un-Christian protests at the funerals of anyone evil enough to live in a land that doesn’t stone gay people to death, Leviticus-style. They don’t want to hate gays — they’re just doing it because God commands them and they’re only following orders. It’s like Nuremberg, but with very bad teeth. These guys don’t picket outside gay bars or gay bathhouses or gay dance clubs or Lindsey Graham’s Senate office. Just places guaranteed to cause the most outrage possible – like funerals. Then when someone tries to stifle them, they engage in First Amendment lawsuits. Then you’ve got the NRA. And please understand, when we talk about the NRA, we’re not talking about their members. In Frank Luntz’s 2012 poll of NRA members, 87 percent said they believed Second Amendment freedom went hand in hand with preventing gun violence. That’s responsibility. But you wouldn’t know that from the group’s leaders. Under the stewardship of Wayne LaPierre, or as I call him, “Il Wayne,” the NRA has become the front for gun manufacturers, the guys who’ve cashed in big time since Newtown. They’re the reason why in America it’s now easier for a civilian to buy lots of weapons designed to kill lots of people really fast than it is for you to remember your old MySpace password. But while they’re protecting profits, they’re also juicing up profits through fear-mongering mailings about how Obama’s coming to confiscate your weapons. Here’s a little tip, Skeeter: The fact that you’re able to heavily arm yourself while publicly calling Obama a gun-grabbing tyrant is pretty much proof that he’s not. By opposing background checks at gun shows — checks supported by 90 percent of Americans — the NRA guarantees that guns can be legally bought through the gun-show loophole by felons or third parties who sell to felons. And then those legal guns just kind of disappear, get sold a few more times, and when the cops recover those weapons years later from a killing that wiped out a playground full of kids, the NRA can say, “Look, illegal guns! Background checks wouldn’t have stopped anything.” See, who needs the black market when you’ve ensured that bad guys can get guns freely on the open market? Background checks only infringe on your Second Amendment rights if you’re a felon, a terrorist or criminally insane. And if you’re all three, you probably already work as an NRA lobbyist. It’s all about the money. Westboro ignores the teachings of Jesus and takes one line of Leviticus out of context to justify their homophobic evil. The NRA ignores the Second Amendment’s “well regulated militia” part and takes one line out of context to justify their blood-soaked greed. Homophobia is an insult to God, and opposing gun safety is an insult to living people.